LOOK AT THE F%CKING CAMERA OLD SPORT! Y O U E A T A L L M Y B E A N S ? ! why hello there, old sport! Remade the Jack-O-Bonnie teaser from ScottGames! they cant have this box! bUt WhErE iS sPaCe CoRe?! So uh, we going to Vegas? I forgot Foxy and Wheatley in the other space pic, so here they are! YOU AINT OLD SPORT! I WANTED TO GO TO THE... GRAND CANYON GRAND CANYON GRAND CANYON! 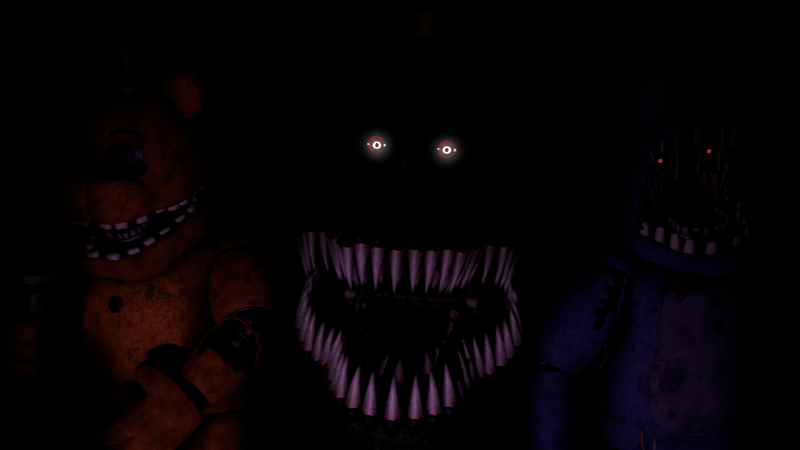 Remade the Withered Freddy teaser! I just wanted to know, do you think I've improved at sfm? First time using Source Film Maker, and I'm real shite at it. FNaF 1 Animatronics all in the UCN office! Meh, some N.Fredbear render I decided to make.